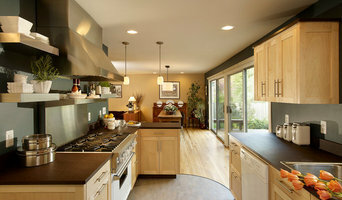 Detroit's Kitchen & Bath Remodeler- 6x Best of Houzz Winner! 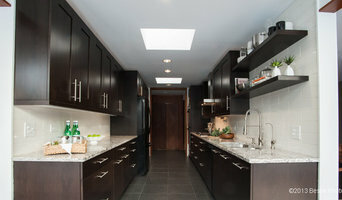 Kitchen and Bath Renovations is delighted to provide clients with professional, quality and detailed craftsmanship. Our innovative design concepts, personalized services and on the job project management is the basis for our success. We take pride in offering a stress free renovation experience. From initial consultation through the finished project, our staff ensures excellent customer service and provides the attention you deserves. We are fully licensed, insured and referred because our client's satisfaction is number one. Let your dreams, ideas, beginnings, and personal taste be the inspiration for our design. Best of HOUZZ 2014, 2015, 2016, 2017 & 2018 | Sharer Design Group is an award-winning full service design-remodel firm, located in downtown Plymouth, servicing metro-Detroit, Ann Arbor and Northern Michigan. Specializing in home remodeling and custom design, Sharer Design Group blends experience and creativity with high quality products to create rooms that allow you to live in practical luxury. Justin Sharer has spent his entire professional career in the design industry. After obtaining a degree in architectural construction technology, Justin began his career as an apprentice with a custom remodeling company in Dearborn, Michigan. Justin studied closely with masters of the trade and learned every facet of the kitchen and bath design industry, from cabinet making to design to project management. Justin went on to become a licensed residential builder and lead designer at the company. He has always had a passion for residential design, and shows it in every kitchen and bathroom he designs around the Metro Detroit area. Justin has taken his passion for design and combined it with his years of experience to create Sharer Design Group. Opened in January 2012, Sharer Design Group, LLC creates complete designs for your project and takes your vision from concept to completion in a timely fashion. After remodeling your new room, Sharer Design Group will finish your vision with perfect accents of paints and furniture. Our interior design staff will consult with you on every detail to bring your dream to reality. Contact us today to get your project started. Justin Sharer has announced his new signature line of Michigan-made custom cabinetry, Sharer Cabinetry. Designed personally by Justin and hand-crafted by a local Michigan woodworker, the Sharer Cabinetry line blends creativity and innovation with local resources. Creative Professional Remodeling is your one stop, full-service custom renovation & remodeling contractor. We can help you with small projects, such as built-in cabinetry or a bar area, or large projects, like a design, layout & remodel of your entire home. We've developed an amazing team, and consider it a privilege to be invited to help make your house become more of a home! Residential Resurrections is a full-service remodeling company serving the greater Oakland and Macomb Counties. Our experience will guide you through a construction process that is as stress-free as possible while delivering your remodel on time and on budget. Whether you are interested in doing a kitchen, bath, or interior home remodel to better reflect your style, to create more space or simply redefining the space you have to create a media room or home office, we can help you. Ultimately we want to bring new life to your home! When it comes to creating new home environments in Windsor & Essex County, Laubri Inc., is an excellent choice. Our inspirational design team and certified kitchen and house designer work with you to ensure ideas are understood and that your lifestyle needs and budget match. Whether you’re building or remodeling, Laubri, the custom cabinetry experts can create an environment that reflects your style and a living space that is exclusively your own. Completely redefining the way you remodel your kitchen or baths. At Cabinetek, we offer 9 different lines of cabinetry priced at completely different price points, allowing you to design your dream kitchen and select a cabinet line that fits your budget. Use our state-of-the-art software to see your dream kitchen priced in over 300 door styles, from builder grade cabinetry to the finest custom cabinetry. After apprenticing with two home building companies and working independently as a professional builder, Ron Jedwab founded Lincorp Construction. 25 years later, Ron acquired Borchert Kitchen & Bath and rebranded as Lincorp/Borchert. Lincorp/Borchert is a design/build firm that specializes in home remodeling projects. We are proud to say that our company has been in business continuously since 1989 and that we have the training and experience to complete quality, comprehensive remodeling projects. It is possible for your home remodeling project to be done right the first time without the hidden fees or hassles that are all too commonly found. We recognize that most people experience some hesitation when looking for a home remodeling contractor. We would like to show you how our company is unique in our industry. It is our goal that every kitchen, bathroom, addition and basement remodeling project that we take on will be a positive experience for our clients from the conception of the project to its completion. At Linden Kitchen & Bath we know the difference is in the details. From our initial concept meeting to completion of the project, our experienced design professionals listen carefully to your wants and needs. Working with you closely, we create a design with you in mind. Our product selection comes in a wide range of prices, styles and finishes. This enables Linden Kitchen & Bath to design a kitchen, bathroom, or other space that is uniquely yours. A space you can call your own. We strive to have a level of commitment that is unmatched elsewhere on each project we work on. From modest family kitchens to luxurious entertaining spaces, our primary focus is to offer our clients a unique shopping experience. With a creative environment in our state of the art showroom we are able to offer you a one-on-one experience that caters to your personal needs. We will work with you, your builder, or your subcontractor - whatever is best for your situation! If you are a do-it-yourselfer and need resources for specific aspects of the job we can make suggestions for reliable, trustworthy products. As a family owned and operated business for over 70 years, our strong referral base draws homeowners and builders alike. We strive to develop a lasting, professional relationship with our customers, ensuring that they feel confident coming to us for another project or advice even years later. Each of the designers on staff have over 20 years of design experience. We would love to have you consider us for your next project. *Authorized Dura Supreme Cabinetry Dealer* Innovation and experience are a Dillman & Upton tradition for over 100 years. Whether you purchase lumber, trim, cabinets, windows or complete kitchens or baths, Dillman & Upton has the experience and knowledge you can rely on. Our staff excels in having the best customer service skills. Stop by…see for yourself what set us apart from the rest! We are a hard working group that like to work with homeowners to create great space. With an in house designer, we can provide a complete solution to your remodeling needs. Our veteran construction staff is well versed in every aspect of the finer points of construction to insure a long life, quality project. Christopher Thomas Construction is a family owned business rooted in Southeast Michigan. We take great pride in our ability to improve our community one home at a time. We understand the importance of service with a personal and attentive touch, and we believe in treating every client like a member of the Christopher Thomas Construction family. Christopher Thomas Construction is a general contractor and construction company specializing in residential remodeling and additions. Obsession with design, craftsmanship, quality and detail is why we went into this business. As a team of skilled architects and carpenters, it is our greatest pleasure to see your dreams for your home come to life. Every project is unique and we go out of our way to make sure it is done correctly the first time. What does a Hamtramck kitchen and bath remodeling expert do? Licensed Michigan kitchen and bath remodelers are contractors who specialize in altering the structure of an existing space, rather than building one from the ground up. Because he or she must deal with a previous builder’s work, the job can get more complicated than new construction. You might wonder why they often specialize in both kitchens and bathrooms, but if you think about those two spaces, they actually have a lot in common. Kitchens and bathrooms include an abundance of fixtures that require careful planning and installation, including sinks, faucets, tubs and toilets that all need water hookups and drainage. They also use similar materials, such as tile and stone for countertops and flooring, due to the nature of their use. So it makes sense that Hamtramck kitchen remodelers and bathroom remodelers be one in the same. A bathroom or kitchen remodeler translates architectural plans from page to reality; some are also trained to provide design services so that you don’t have to hire a separate pro. Like a general contractor, a kitchen and bathroom remodeler in Hamtramck, MI is responsible for hiring and supervising subcontractors and providing materials when necessary. They also should have a thorough knowledge of Michigan building codes and construction-related legal issues, as well as current design and product trends. Here are some related professionals and vendors to complement the work of kitchen & bath remodelers: Woodworkers & Carpenters, Kitchen & Bath Designers, Interior Designers & Decorators, Architects & Building Designers, General Contractors. Find a Hamtramck kitchen and bathroom renovator on Houzz. Narrow your search in the Professionals section of the website to kitchen and bathroom remodelers in Hamtramck, MI. You may also look through photos of Hamtramck, MI spaces to find kitchens or bathrooms you like, then contact the bathroom or kitchen remodeler who worked on it.